Bitcoin’s price value has risen quickly since the cryptocurrency was first introduced to the world in 2009. The currency, which once traded for as little as one cent during February 2010, was valued at a price of $372.58 US dollars, 2302.33 CNY, 301.39 Euro, and $419.06 Canadian dollars at the time the time of writing. 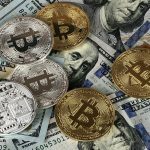 Longtime fans of the cryptocurrency, however, will remember a time when the currency itself was valued at $1,124.76 US dollars on Nov. 29th, 2013. Simply put, the bitcoin price is extremely liquid, a fact which continues to scare away those from more traditional finance circles. Nevertheless, while the currency’s value has fallen substantially since reaching its previous high, the currency has nevertheless come a long way from its early beginnings. When bitcoin first emerged on the market, the currency had virtually no value. During this time, the currency was mainly mined and “enjoyed” by hobbyists. It was not yet seen as carrying enough value to purchase items one might otherwise acquire with traditional currency. Price indices for the digital currency did not exist at this time and bitcoin had not garnered nearly as much public interest as the cryptocurrency carries now. The first real-world transaction involving bitcoin occurred on May 18th, 2010, when a bitcoin holder paid 10,000 BTC for two large pizzas from Papa John’s. The payment this user made would now be worth $3.7871 million US dollars. To contrast, a large pizza at Papa John’s currently costs $11.75 US dollars. Slowly, the price of bitcoin continued to rise, becoming equal to the US dollar in Feb. 2011. In other words, bitcoin had risen from a value so minuscule that it could not actually be measured to being equal to one of the strongest currencies in the world. Shortly after that, the cryptocurrency rose to $31 USD on July 8th, 2011. After this, the currency’s bubble popped and bitcoin’s value plummeted. In Dec. 2011, the currency was valued for as little as $2 USD. This was the lowest point that the currency fell to before rising the $13 USD mark during Dec. 2012. 2013 was a landmark year for the value of bitcoin relatively to the US dollar. The currency rose to a price of $266 USD on Apr. 11th, 2013 before falling to a mark of $70 USD in June. 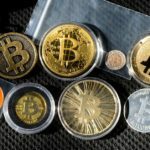 The currency’s rise and subsequent fall demonstrates a trend for the cryptocurrency where the value rises to a new high before falling to a figure that, while disappointing when compared to the new high, remains substantially higher than the previous figures. Bitcoin then proceeded to spike to its all-time high figure in Nov. 2013. However, the currency fell from a price of $600 USD in Dec. 2013 before returning to a figure of $1,000 USD by the end of the year. The price continued to fluctuate within that range before falling to a mark of $550 USD after the Mt. Gox incident, which damaged investor confidence in the cryptocurrency. Shortly after that, the currency fell to a mark of $350.52 USD on Apr. 11th, 2014, its lowest market since the Mt. Gox incident. After having a relatively stable period during the summer of 2014, a time during which increased discussions involving the potential regulation of the currency had begun within traditional finance circles. The currency was valued above the $500 USD mark for most of the period of June 1st to Aug 30th. However, the currency fell to a figure of $478.07 USD on Aug. 31st, 2014. Since falling to that mark, the value of bitcoin continued to decline to below the $375 USD mark. Since then the price of Bitcoin has had huge gains reaching its peak in December 2017 at $20000 on some exhanges. In January 2018 a sharp correction ensued leaving the crypto currency hovering around $12000. 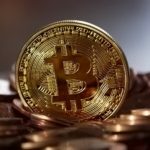 As it is becoming more mainstream, more and more people and institutions are looking to buy bitcoin which may prove 2018 another exiting year for the first decentralized currency. As the price history outlined above shows, bitcoin’s value is extremely liquid. The pricing history suggests that the currency’s value will continue to fluctuate over time. However, the low end of each fluctuation has thus far appeared to place the value of the currency at a higher mark that it had previously held. While it appeared as if bitcoin’s pricing was about to stabilize at the $500 mark during the summer of the 2014 calendar year, the currency has since fallen to lows not reached since Apr. 2014. The currency’s volatility should continue to scare off investors, despite the potentially high reward an investment in bitcoin might yield. In later years, Bitcoin has proved skeptics wrong time and time again as it has risen to new highs year after year with some serious corrections along the way. We continue to follow the developments closely in 2018 and beyond. 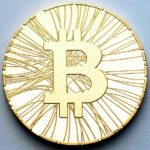 Be sure to follow our analysis with frequent Bitcoin price news. 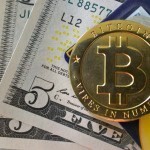 Bitcoin’s pricing has often been affected by external factors. As detailed above, the disappearance of 850,000 bitcoins on Mt. Gox negatively affected the bitcoin price, leading to a substantial loss in value that left the cryptocurrency at a year-low value in Apr. 2014. There is currently a movement to increase the regulation of the cryptocurrency in an effort to provide increased safety to bitcoin users and held to limit the well-documented liquidity of the currency itself. For example, the recent “BitLicense” regulations proposed by the New York State Department of Financial Services would require businesses that buy or sell virtual currency will need to be licensed to operate within the state of New York. As a result, bitcoin exchanges like the popular Coinbase and newcomers within the field will need to be authenticated in order to conduct business with consumers from New York, the financial capital of the United States.